We decided to go for a drive late this arvo to look at a couple of spots, went down a road we hadn't been before to see where it went & to kill some time. 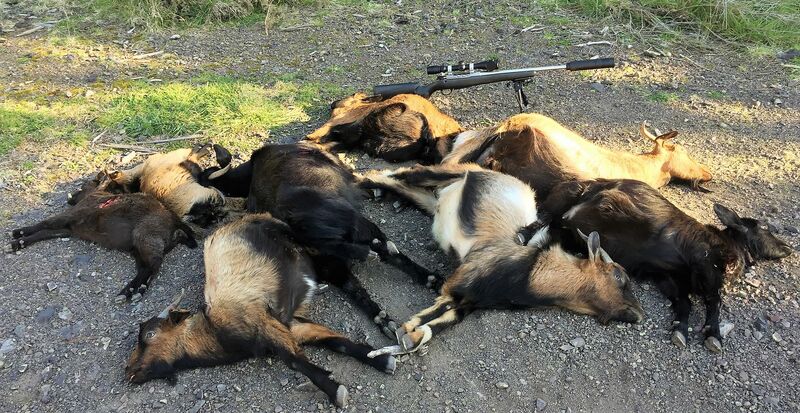 Long story short came around a corner to an old skid site & there were Goats everywhere, the 7-08 got a real work out. 7mmsaum, Shootm, Tahr and 19 others like this. Nice, nothing like a good bomb-up on a mob of goats to improve the shooting skills. tikka and dannyb like this. Funny though. With all the rifles I see you post on here I am surprised to see you with a pretty standard looking T3 7mm08 (even with the standard rings still in place). Nothing wrong with it of course, just not what I would have expected . Despite the haters, you could take that exact rig damn near anywhere in the world and it'd do the job nicely on any medium game. 7mmsaum and Shearer like this. Gotta love a bomb up on goats from time to time. What suppressor are you running on that? looks like a load of fun. 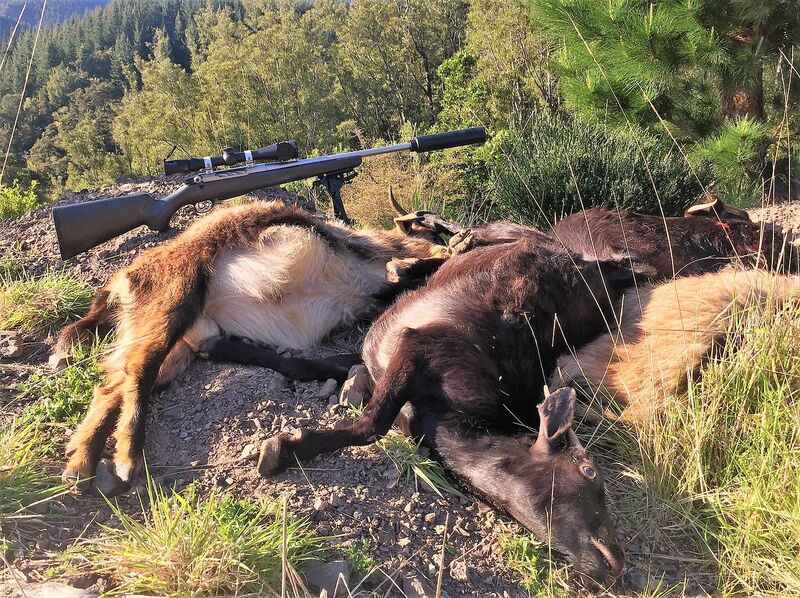 funny how rifles are like that,we have all sorts and if just popping out for quick hunt its usally the old plain one that gets the nod. Cheers how do you find it? Matt2308 and Sideshow like this. Cool report, now we need you to head south and do it to 17,500 Thar, let us know how you get on!